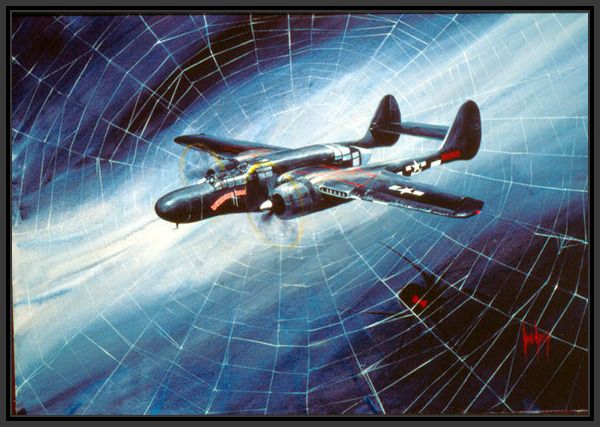 The Northrop P-61 was one of the most awesome and mysterious aircrafts to come out of WW II. Designed from the ground up as a night fighter, it was large and heavy, yet fast and nimble as a fighter. From a distance you see only the airplane in a night sky, but come a little closer and what do you see? This unique limited edition print is signed by five courageous combat pilots who flew the Black Widow in the European and Pacific Theaters.